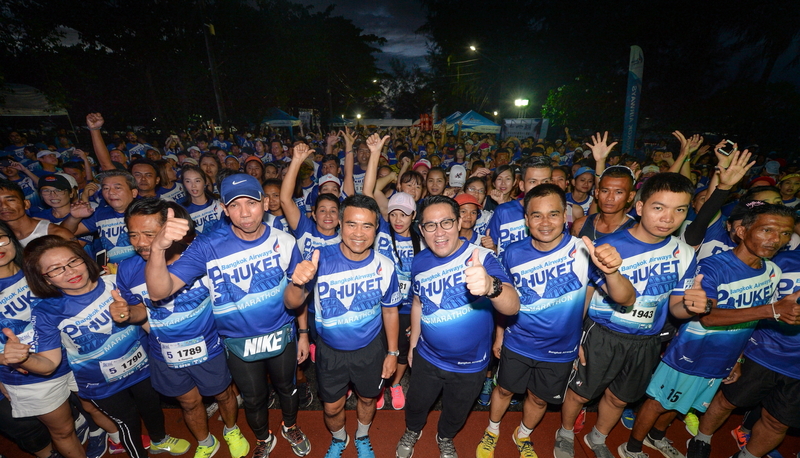 Bangkok Airways’ Boutique Series 2019 will this year consist of 6 running races in 6 different destinations in Thailand. First to kick off is the Krabi Half Marathon which will take place on 12 May 2019, then Samui on 2 June, Lampang on 7 July, Phuket on 4 August, Chiang Rai on 15 September, while the Lanna Half Marathon will take place in Chiang Mai on 3 November 2019. For those interested in taking part in “Bangkok Airways Boutique Series 2019”, the airline is offering a special promotion of free registration to run in any event when booking a Bangkok Airways flight and registering through the prescribed channel. “Bangkok Airways has also joined hands with stupidnoobmacc, the renowned Thai illustrator behind “BabyBoy”, who will be designing a special collection just for “Bangkok Airways Boutique Series 2019” by using highlights from each province as themes for BabyBoy. The designs will be featured on the series’ shirts, medals and trophies and available as souvenirs to participants across all 6 marathons throughout 2019” added Mr. Prote Setsuwan. See latest HD Video Interviews, Podcasts and other news regarding: Bangkok Airways, Marathon, Sport.